You are going to love being outside after you figure out how beneficial it is for your health. When you were a little kid, you probably played outside as much as you could. It was fun and now you just want to stay in and relax. 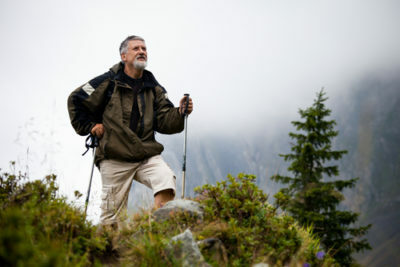 Just wait until you read about the ways that being outside is good for your life and your health. You are going to want to start spending as much time as you can outside once again. The truth is that sunshine does make life great. It might sound odd but it is the truth. Studies have shown that those who get sun exposure daily are in a much better mood than those who don’t. So, if you want better mental health, going outside daily is something you should be doing. When you think about your health, you need to think about your emotional and mental health too. You need to be happier if you want to improve your mental and emotional health and going outside daily is going to help you to do this. Your brain is wired to enjoy nature, no matter which season of the year it is. If you need to become calm or less irritable, go outside for a bit. You will be uplifted and happier for doing so. Studies also show that those who go outside near daily, during all seasons of the year, are less likely to get sick. Whether you are just taking a short walk outside, exercising outside or even sitting outside daily, you will be less likely to get sick. All it takes is 30 minutes outside daily and you will improve your immune system and prevent colds and other common illnesses. Yes, you can work out in your home but if you want to burn more calories you should work out outside. During the winter is a great time for you to work out outside. There is something called cold therapy. 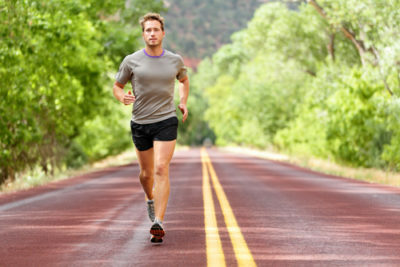 When you work out in the cold, your body is boosted more than if you were to work out in an average temperature room. In addition, when you go outside to work out, you can run, walk the dog and do other exercises that are harder or impossible to do inside. This is going to help in boosting your mood, improving your health and helping you to burn off more calories. If you want to improve your health, you should go outside. When you go outside, you will get more energy. Maybe you are hitting your afternoon slump. All you need to do is go outside for 5 to 10 minutes or more if you can. Take a small walk on your break at work instead of sitting at your desk. This is going to boost your energy, reduce fatigue you may have and help you to become more productive for the rest of the day as well. You need your vitamins each and every day. One of the easiest ways for you to get Vitamin D is by getting outside in the sun. This is one of the most important vitamins for building and maintaining stronger bones, boosting your immune system and improving overall health as well. Even if it is a cloudy day, you will still get some sun from going outside. Stress is bound to cause you all sorts of health issues. Many people who have high stress will experience more joint pain, muscle spasms, headaches, aging faster and many other health issues. If you want to reduce your stress, you need to spend some time outside. This is especially true if you spend most of your day inside working. You need to spend time outside. You can garden, go for a walk, run, walk your dog, sit on the lawn or anything else. Just make sure you are spending some time outside. Even if it is raining, don’t let that stop you from getting out. You have many ways that you can be healthier and spending time outside is going to help you with this as well.